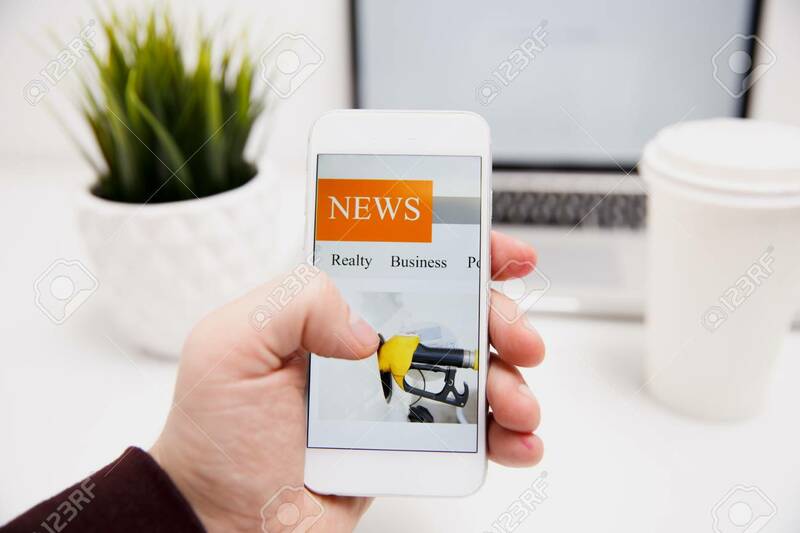 Online News In Mobile Phone. Close Up Of Smartphone Screen. Man.. Stock Photo, Picture And Royalty Free Image. Image 119192637.